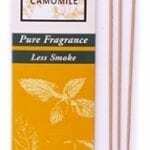 Nag Champa stick incense is sweet and relaxing, like floating on a cloud. 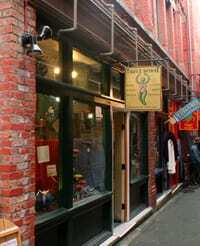 Each stick weighs about a gram and burns for approximately 45 to 60 minutes. 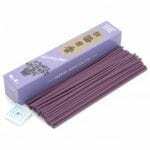 Approximately 100 incense sticks per box. 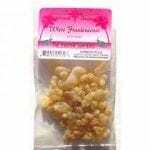 Frankincense tears are highly aromatic and are typically burned over smoldering charcoal bricks as incense. 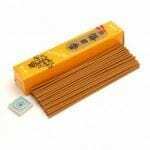 Satya Sai Baba Nag Champa stick incense This incense is made in India by the Shrinivas Sugandhalaya company. 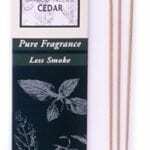 Each stick is a special blend of natural herbs, resins, flowers and oils that are hand rolled. 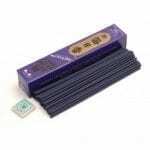 This incense has been extremely popular in the west since it was introduced here over 30 years ago. 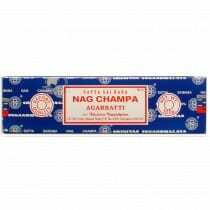 Nag Champa incense blends usually contains a large proportion of sandalwood and the frangipani fragrance. This is the real deal – a unique and complex blend of oils, woods, & resins. 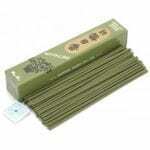 Nag Champa stick incense is sweet and relaxing, like floating on a cloud. 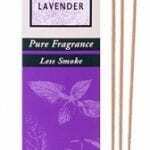 Each stick weighs about a gram and burns for approximately 45 to 60 minutes. 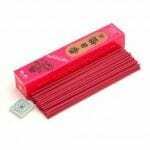 Approximately 100 incense sticks per box.